The Pakistani nation, hostage to some of the worst forms of terrorism, much of it inbred, has been debating on whether or not talks with the Taliban would be productive. Most of the discussions revolve around whether it is justifiable to sit across the table with those who have caused thousands of civilians, among them children, as well as security forces to be killed or crippled. A large group favours dialogue, arguing that serious talks have never really been given a chance whilst the so called war on terror remained a proxy war for the US. Predictions are bandied about, and the best of analysts can do just that- analyse a situation that has become alarmingly unequal. As a society, the Pakistani nation has rarely pondered, at least not deeply or collectively, whether it wants peace, or continuous strife. This may sound absurd, because have not people been literally clamouring for peace everywhere, have not successive governments made promises of ensuring peace and security and has not peace been the most prominent and popular of all topics of media talk shows, newspaper articles, political discourse and public meeting slogans? Despite the brandishing of the peace slogan, the Pakistani society at large has become a violent and war mongering mix of individuals. Excluding militants, terrorists and criminals, most of us belong to this group: the common man who believes that it is right to enforce particular laws of the Sharia’h in Pakistan because it is an Islamic state; anyone who is a non Muslim is wajib-ul-qatal, or at least is a second rate citizen; anyone who dares to speak his mind and criticize or merely express a difference of opinion from standard interpretation of Islamic teachings ought to be killed, and mono dimensional religious indoctrination is another term for the way to paradise. This thinking has become so deeply etched in the psyche of a common Muslim in Pakistan that views and opinions that venture to suggest alternates are met immediately with violent reactions. If the first, almost unconscious response is to make an attack, it is small wonder that more serious forms of violence have developed and been condoned. With minds that are closed to any discussion or debate on religious views, particularly those that relate to public laws, society has turned its back on the only path towards a peaceful existence; that of mutual respect, consultation and freedom of expression. These are the building blocks of Islam, as they are of any true and authentic democracy. Islam gave choice to man, and linked it to both freedom and responsibility. Nowhere have Islamic teachings promoted oppression, least of all in its own name. Religion in today’s Pakistan has taken various forms, almost all of them being either ritualistic, having no resemblance to the Islam that Prophet Mohammed (pbuh) brought, as did all other prophets before him. This was the Islam that came to purify man, gave him guidance from God, and taught him to love his fellow beings, reflect deeply, gain knowledge and do good deeds. The latter were defined as creating a society within which there would be equity, justice, kindness and mercy for all, regardless of creed, gender or status. This was a society where a Muslim would be the best example in terms of relations with others and honesty of dealings. It was not a society where followers of other religions would be hounded, age old statues of religious value to others be destroyed, women banned from education and public life and men forced to wear beards. This was not the Islam where an autobiography by a young courageous girl would be banned from schools or its inauguration cancelled; where a provincial governor would be killed by his guard who would then be garlanded by lawyers; where a 65 year old would be sentenced to death because he was silly enough to declare himself a prophet. It was certainly not the Islam that called for enforcement of particular kind of laws upon a society that was still struggling for the basic necessities of survival. Distorted interpretations of this great religion have been hammered often by using religious rhetoric by vested interests. So much so that society feels that if it does not believe in these narratives, it will lose its faith. Our so called religious personalities have managed to relieve most of us with the God given gift of thinking about religion for ourselves, and making up our own minds about what is wrong and right. The oppression began by subduing the God given right to think for oneself; it continues with mass murders, and those who were oppressed have become almost indistinguishable from their tormentors. When a society loses its ability to think and listen, and in turn the courage to speak up without fear of retribution, it begins to decay. We may be the target of militants who kill us physically, but we have already allowed ourselves to die a slow intellectual and spiritual death. Each time we believe in some religious rhetoric, or fail to condemn an act that has not been sanctioned by God for us to take, we become accomplices and militants. Unless the average Muslim in Pakistan realizes how he has contributed to this unending game of killing those who do not conform to one’s world view, and unless he understands that God will hold him responsible for his belief and practice of Islam, both as an individual and as a member of a society, peace will remain elusive. We cannot bring peace when we ourselves are violent and ready to kill others, verbally, spiritually and intellectually. For that is what we have done to our society. For peace, we must learn to stand up for our right to dissent, on all including religious matters. And demonstrate zero tolerance for those who muzzle it. 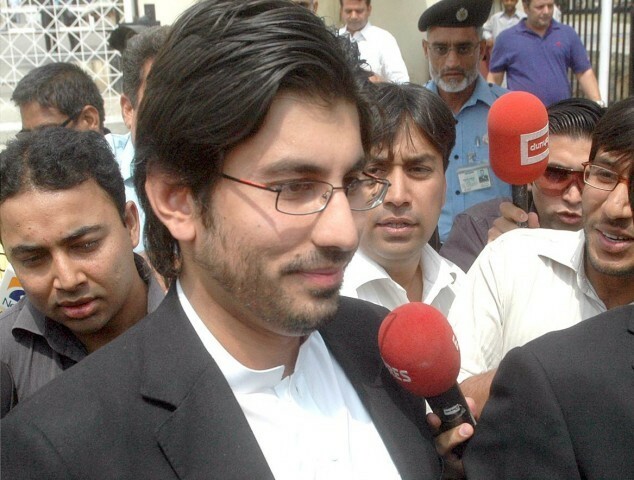 Dr Arsalan Iftikhar, the son of former chief justice Iftikhar Muhammad Chaudhry, quit the post of vice chairman of the Balochistan Investment Board (BIB) on Thursday in the face of growing criticism from opposition parties and the media. Leading opposition legislators and media circles had raised a red flag on the appointment of the son of the former top judge to the post of vice chairman. Confirming reports of Dr Arsalan’s resignation, spokesman for the provincial government Jan Buledi said that “it would be incorrect to suggest that he quit his job after Chief Minister Dr Abdul Malik Baloch demanded his resignation.” Instead, he suggested that Dr Arsalan might have succumbed to public criticism. The spokesman added that following the resignation, the issue of Dr Arsalan’s appointment should now be considered a “closed chapter”. However, according to insiders, Dr Arsalan had been asked to resign due to his eagerness in resolving the multi-billion dollar gold and copper project at Reko Deq in Chaghi district of Balochistan. “Dr Arsalan’s unnecessary interest in Reko Deq gold and copper mines created problems for the provincial government,” said Buledi. “Arsalan had nothing to do with the project,” he added. Buledi admitted that Arsalan’s interest in Reko Deq caused doubts about his designs in government circles. Welcoming the resignation, spokesman of Jamiat-e-Ulema Islam Fazal (JUI-F) Jan Achakzai said that the Balochistan government had no option but to seek Dr Arsalan’s resignation due to increasing political pressure. He added that the federal government should launch an investigation into the appointment of Dr Arsalan to ensure transparency in governance. Asad Umar, a leading legislator of Pakistan Tehreek-e-Insaf (PTI), said that a corruption tainted person had been appointed by the Balochistan chief minister against relevant rules and regulations. “It is good that the government has realised its mistake and removed an incompetent person from a highly important position,” Umer added. Meanwhile, sources revealed that the establishment was also opposed to the appointment of Dr Arsalan and had conveyed its reservations to CM Dr Abdul Malik. However, the appointment became a serious issue for the provincial government after a select group of provincial cabinet members and parliamentarians, including those affiliated with the ruling National Party (NP), raised objections over Dr Arsalan’s appointment and asked the chief minister to reverse his decision. Despite repeated attempts, Dr Arsalan could not be reached for comment. Arsalan Iftikhar BIGGEST FRAUD LIKE HIS FATHER.HOW AND WHY SHARIF FAMILY PROMOTE SUCH A CON MAN . Arsalan Iftikhar Former Chairman Balochistan Investment Board in an exclusive interview with Saleem Safi in fresh episode of Jirga on Geo News. Why should a nation love its Army? by Ali Raza Mudassar An army consists of disciplined unique individuals overwhelmed with devotions and ultimate sense of patriotism. The army is the most important living organ of the state that should not only be strong but also active, brave and vigilant. Armies are pride of nations because of their savior role in testing times of nations. They are uniquely motivated people and rich with spirit of utter sense of sacrifice for their fellow citizens and motherland. Madam Noor Jahan (late) has sung a melodious Punjabi song to narrate an unique character of soldiering (Ay putar hattaan tay nahi wikday, ki lab-ni aey wich bazaar kuray? – these great sons are not saleable commodity, what are you looking for in the market?). Nations that do not respect and honour their armies are perished by their enemies because the men can fight only with the strong support of their nations. The famous quote of George Patton – “The wars may be fought with weapons but they are won by men”. 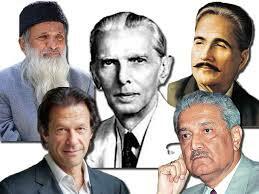 There are five fundamental logics that Army must be respected and honoured by nations for their own survival. Firstly, Political Reason. Army is a tangible living organ of the state which provides defense against the internal and external physical threat to the nation. Without strong and motivated soldiers this physical threat cannot be averted and this physical threat has potentials to devastate the existence of the state. A nation state needs a strong and potent force for its survival in this realist world, otherwise continued existence as a nation state is in danger. In 1991, Iraq ruined the Kuwait in matter of few hours because Kuwait was not maintaining strong Army for response. Secondly, Psychological Reason. Motivation is critical factor in psychological mechanism of fighting. It is only motivation which arouses the individual’s feelings and convinces him to fight against the enemies of the country and fellows. Un-motivated individuals are destined to loose or prepared to die dejectedly. Armies only win when they fight with spirit and motivation which comes with love of their countries men. Loves and affection inspire the soldiers to take ultimate step (scarification of life) for the honour and wellbeing of their nation fellows. This motivation is evaporated, if their countrymen are not standing behind them. Motivation is the sole reason of taking bullets on chest with smiling face. If nations don’t love their fellow soldiers then the strongest Army can’t guarantee the survival of state. Soldiers of Islamic state fights because they believe that it is legitimate cause and thousands mothers, sisters, brothers and fathers are praying for them – that gives him inner satisfaction. Thirdly, Islamic Reason. Soldiering is sacred and Islamic profession. Loving and respecting own Army is an Islamic tradition. In the state of Medina, when the Prophet Muhammad (PBUH) along with his companions left for Badr to fight with the enemies of state and Allah, they were seen off by men, women and children with love, affection and lots of prayers to fight well and demonstrate perseverance against the enemy. That exuberance of the people gave unflinching loyalties and strength to remain steadfast against their superior enemy. Finally victory kissed their feet at Badr and again they were received back with love and affection at the gate of Medina. There can’t be any better reason for honouring and respecting the Army of Islamic country. Fourthly, Social Reason. Soldiers are above the controversaries of religion, sectarian, linguistic and ethnicity. Army should be kept aloof from the divisive tendencies which can adversely affect the social fiber of the Army. They have to be kept mentally and physically united to take on the enemy of the nation. Army must not be dragged into internal politics or any other petty conflicts which can cause polarization and fragmentation on any pretext because polarization can generate conflict. Army is symbol of unity for nation and it is only possible if united nation stands behind them after shunning their differences for unity of army. Fifthly, material reason. Contrarily, Soldiers experience rough life – away from families and loved ones for months and years. They breathe in inhospitable environment, drink dirty water and eat unhygienic food for one reason only – live for nation. Soldiers often sitting alone in their bunkers and are dreaming about the love, affections and honour of their companions and fellow countrymen. They know that the army is responsible for his fellow countrymen, so they sleep peacefully at nights while he stands guard of the country’s frontiers. Solider also knows, if he loses his heart, he will loose honour of his countrymen. And if he loses his life, it will add life to his motherland. In war, there is no substitute for victory and the army strives with all its might to sacrifice their lives for the country. Every citizen of the country should proudly and with gratitude salute each and every man of the army because the patriotism is at peak with army men. The nation ought to reciprocate with lots of love, affection and honour in their larger interest. Let me conclude with outstanding words of Sir Winston Churchill which emphasized on the maintaining robust and live army, ” Armed forces are not like a limited liability company, to be reconstructed from time to time as the money fluctuates. They are not inanimate things, like a house to be pulled down or enlarged or structurally altered at the caprices of the tenant or owner. They are living things, if they are bullied, they sulk, if they are happy, they pine, it they are harried, sufficiently they get feverish, if they are sufficiently disturbed, they will wither and dwindle and almost die, and when it comes to this last serious condition, it is only revived with lots of time, effort and money.” (The writer is a Ph.D Scholar on Peace and Conflict Studies at the National Defence University, Islamabad). 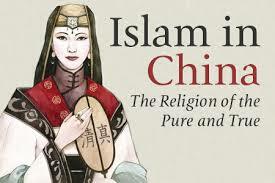 China has banned Ramadan fasting for government staff, students and members of the only political party they have. Burma banned mosques for Rohingya. 5 European countries have banned halal and kosher slaughter. In 3 Europeans countries one cannot observe Hijab. In Switzerland, Muslims cannot build minarets. Islamophobia is hurting humanity. We must fight against this oppression to win back our freedoms and thank those who protect our freedoms.See the full news about China here. Here are phone numbers and addresses of Chinese embassies in different countries. Please call China Ambassadors everywhere to lift this ban. Please call them there. Be polite but firm.